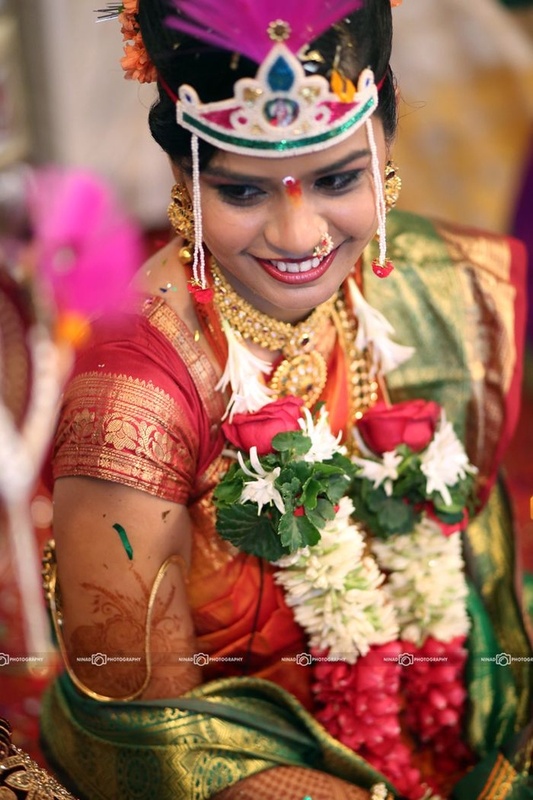 Lengthy rituals, extensive ceremonies, heavy outfits, long make-up sessions and the hustle and bustle during your big day can thoroughly make you feel spent. 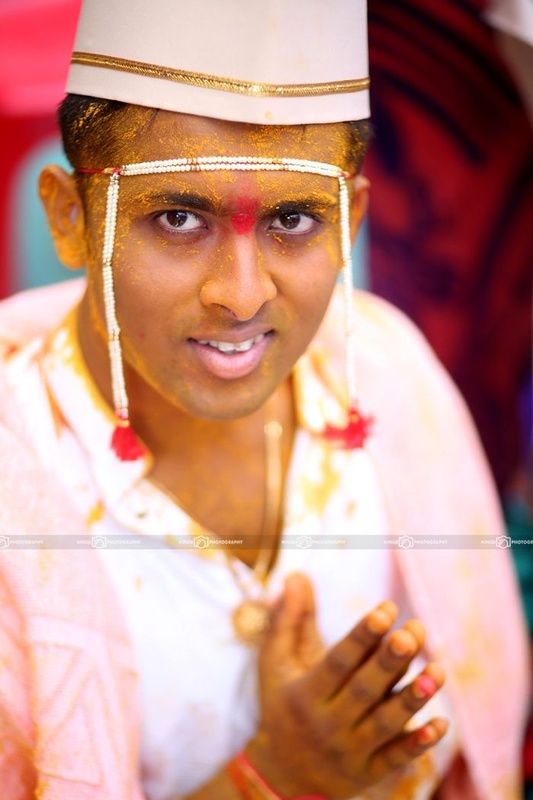 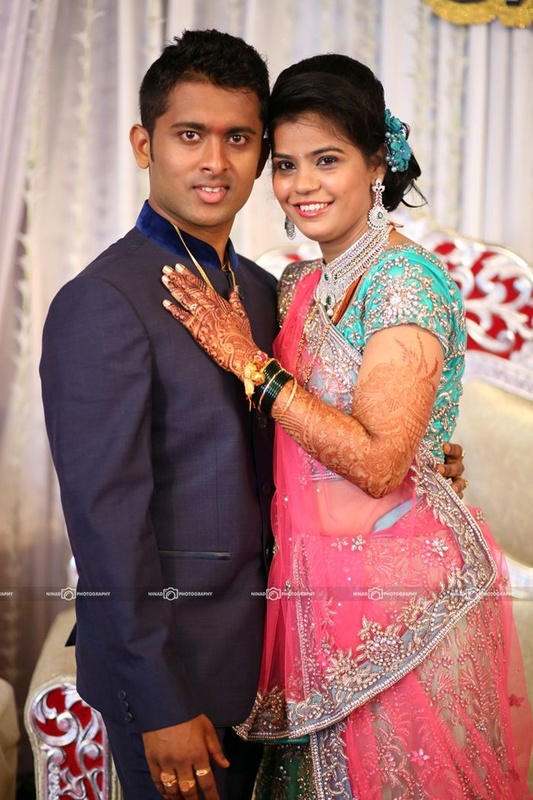 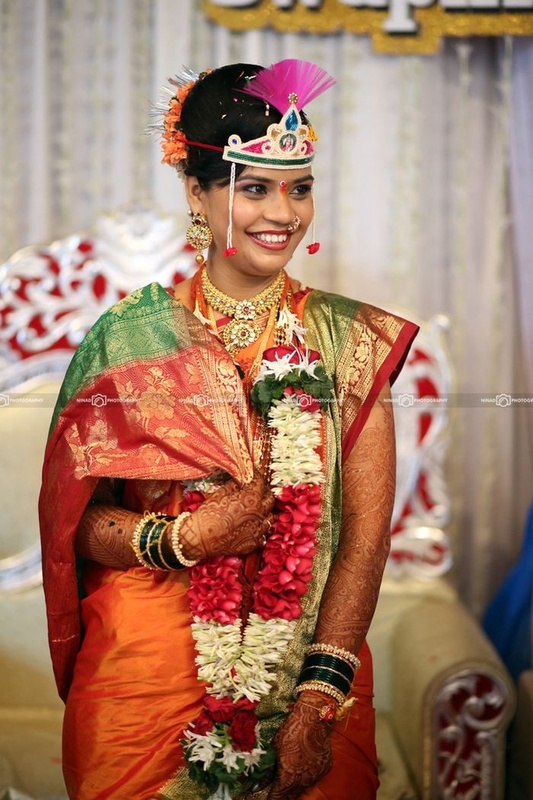 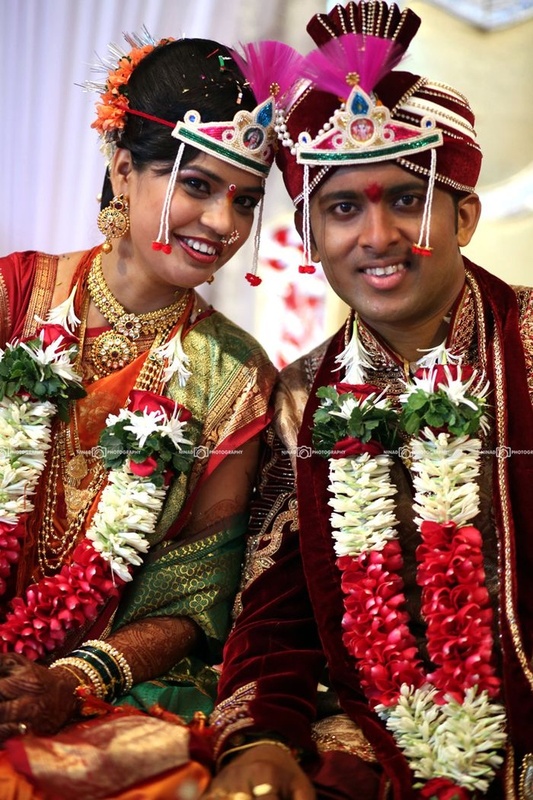 With each passing moment, Jyoti and Swapnil enjoyed their wedding celebrations to its fullest. 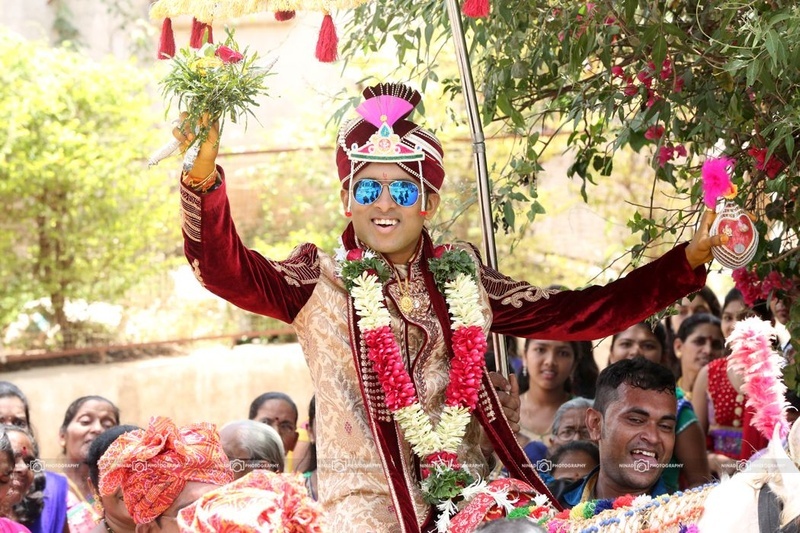 If the baraat is outdoors and it’s too sunny, wear a cool blue aviator just like the groom! 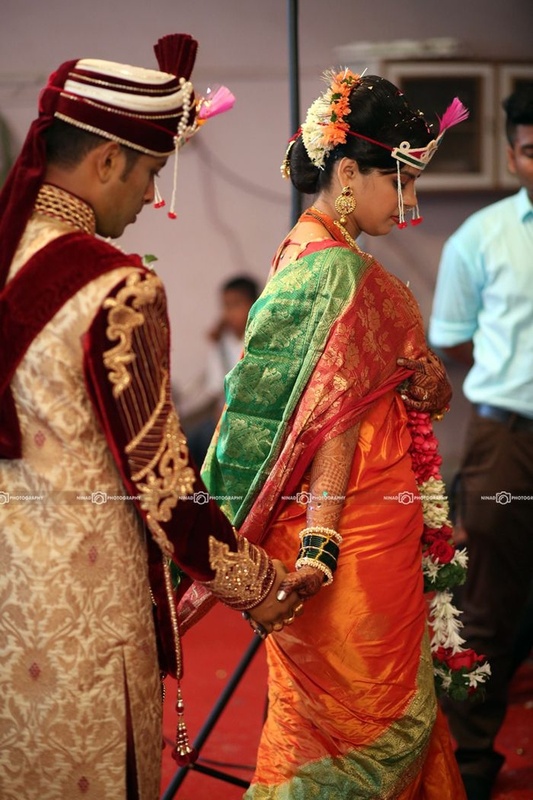 The couple performed each and every ceremony together; they even wore similar mini-mundavalyas. 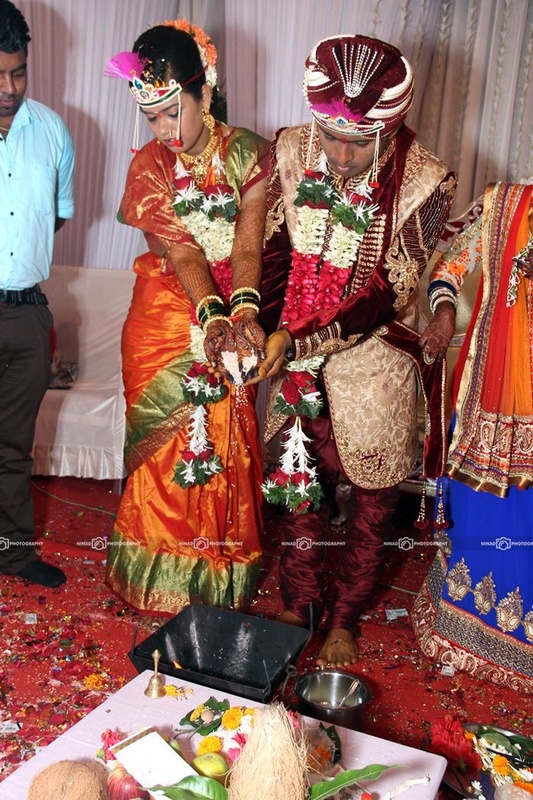 At no point, the wedding took a toll on them, as the exuberant duo celebrated every phase of the marriage with equal enthusiasm. 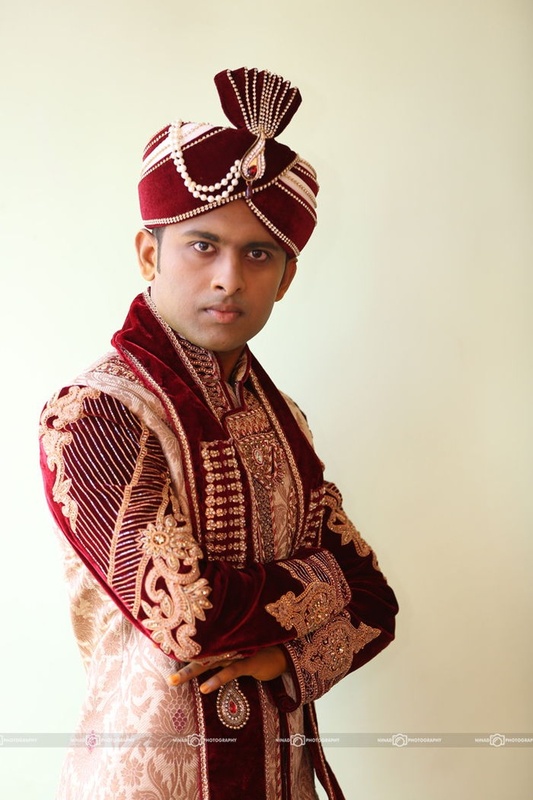 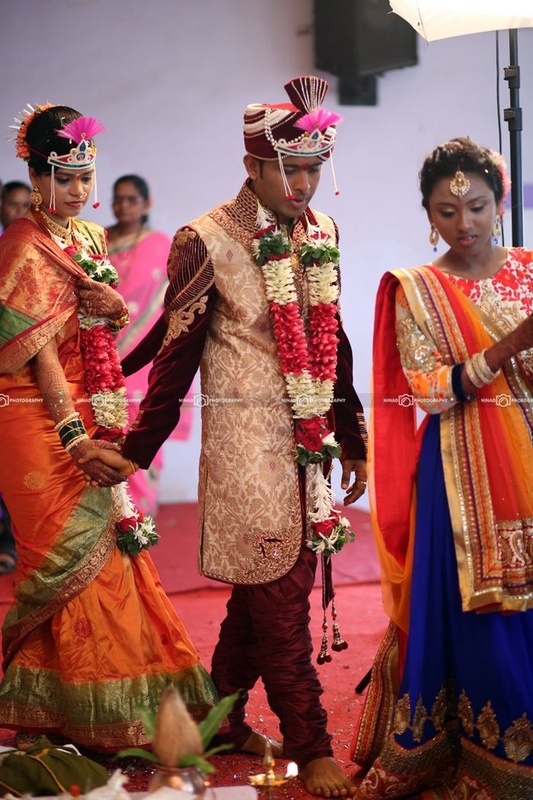 They were dressed ethnically for most part of the day except for the reception. 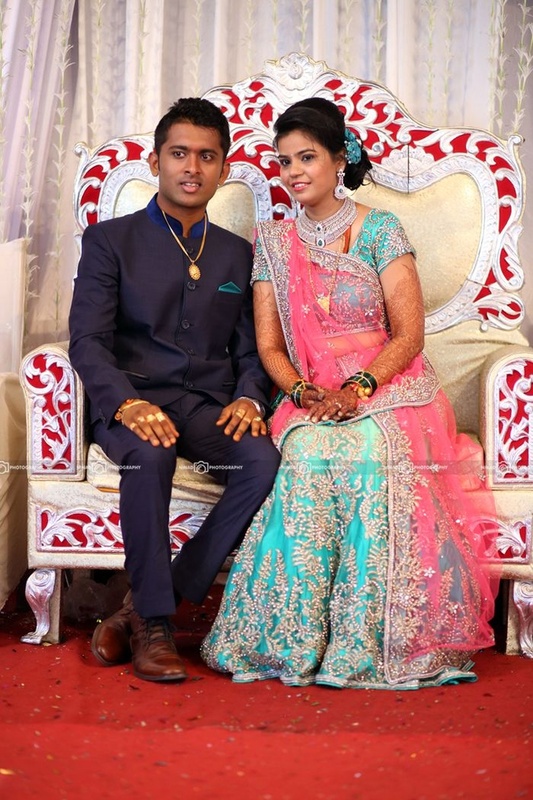 The groom suited up with a navy blue blazer that had a contrasting pocket square and a brown formal shoe. 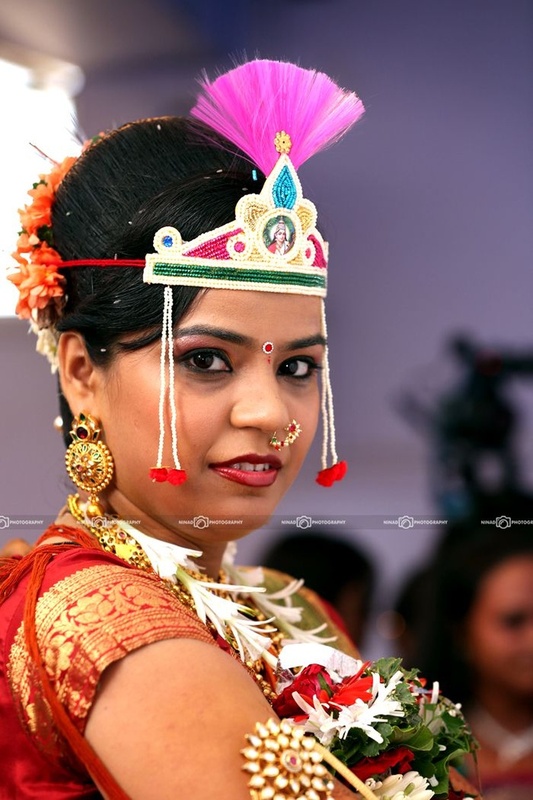 Bride’s turquoise and pink lehenga had intricate work of stones and motis engraved everywhere on the outfit. 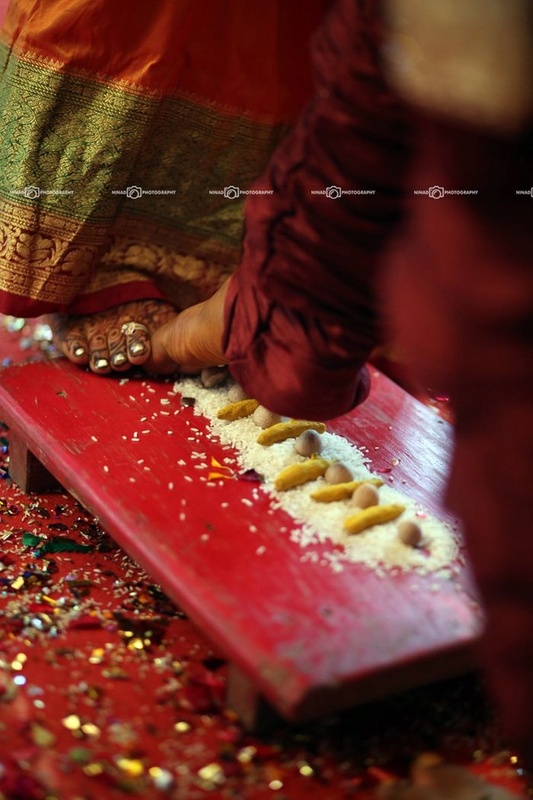 A unique wedding ritual performed by bride and groom, involves stepping on grains of rice, whole turmeric and areca nut.